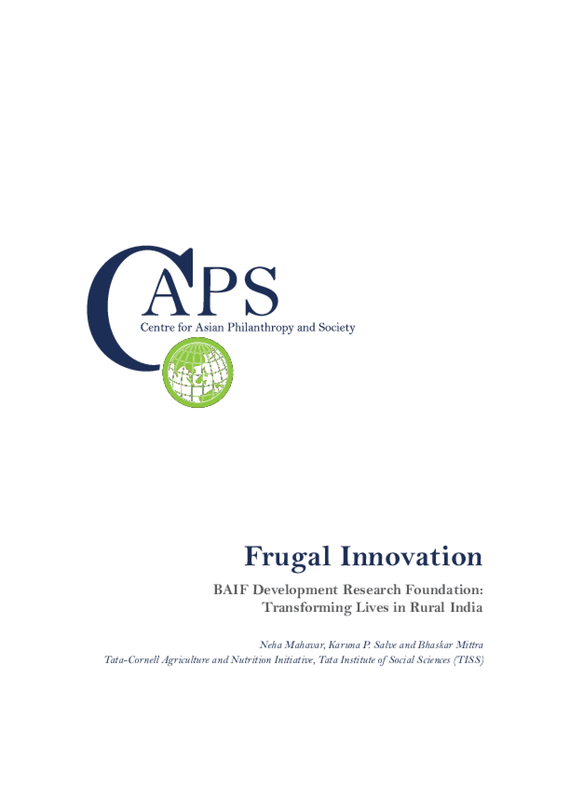 From its early days, BAIF has focused on driving rural prosperity. Initially, it empowered farming communities to improve the productivity of animal husbandry through technology and training — it had supported 5,892,045 families in this way by 2014. The organization went on to help 201,144 rural families roll out innovative homestead agri-Horti-forestry, or "Wadi,"orchards, that combine techniques and resources to allow farmers to rear fruit trees, flowersand vegetables. BAIF has also applied its technical expertise to help farmers find better ways of managing their land, soil, and water resources. Over the years, it has expanded its focus to undertake health, women's empowerment, and resilience programs in conjunction with its agrarian interventions to drive holistic development in rural communities. Copyright 2016 Centre for Asian Philanthropy and Society. All rights reserved.